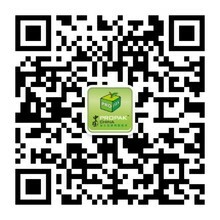 As the premier processing and packaging event for China, ProPak China 2019, the 25th International Processing & Packaging Exhibition, is dedicated to building an annual sourcing platform for food, beverage, dairy, pharmaceutical, cosmetic and other industries who seek for cooperation and innovations. ProPak China 2019 will take place in a new venue - National Exhibition Convention Center Shanghai (NECC) from 19 to 21 June 2019 with several other sectors including food and health ingredients, natural and nutraceutical products, starch and agriculture. In addition, the organisers of ProPak China - UBM Sinoexpo Ltd. and China International Exhibition Ltd. signed an agreement with the organisers of FoodPack China – the China National Packaging and Food Machinery Corporation (CPFMC) and China Food and Packaging Machinery Industry Association (CFPMA). The two shows will be held concurrently at NECC and build up a super-sized show covering the whole supply chain.